Fresh hanging heart wreath made up with fresh purple wax flower & eucalyptus - scented Something a little alternative for celebrating Valentine’s Day? Or maybe wedding (can make multiple items up to order) Heart measures 18cm x 18cm at widest points Foliage & flower mix is mossed & wired onto a wicker heart shape base - fresh wreath will last up to a month, then materials can be stripped & wicker heart can be kept for hanging or decorating again. My wreaths are handmade & made to order All boxed up & sent 1st Class to keep optimum freshness Please allow a few days for me to make up, or when buying message me with your delivery date preference. Simply slide out the photo mount from the base of the snowglobe and insert your pictures either back to back, to give a double, or single sided gift that can be used year after year. Make your own snowglobe by inserting your own photos and images. Fair Trade Hanging Felt Monty Big Heart Mouse. Condition is New. Dispatched with Royal Mail 2nd Class. Measures approximately 4 x 1.5"
Stunning large heart shaped handmade silk rose wall decoration or wreath. 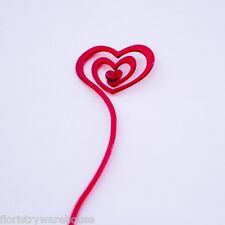 A wire-based wreath for Valentine's Day, could also be used for Mother's Day or Race for Life. Ships to UK mainland only. Fresh hanging heart wreath made up with fresh purple wax flower, eucalyptus and ivy scented Something a little alternative for celebrating Valentine’s Day? Or maybe wedding (can make multiple items up to order) Heart measures 30cm x 30cm at widest points Foliage & flower mix is mossed & wired onto a wicker heart shape base - fresh wreath will last up to a month, then materials can be stripped & wicker heart can be kept for hanging or decorating again. My wreaths are handmade & made to order All boxed up & sent 1st Class to keep optimum freshness Please allow a few days for me to make up, or when buying message me with your delivery date preference. Fresh hanging heart wreath made up with fresh purple wax flower, eucalyptus and ivy scented Something a little alternative for celebrating Valentine’s Day? Or maybe wedding (can make multiple items up to order) Heart measures 25 cm x 25cm at widest points Foliage & flower mix is mossed & wired onto a wicker heart shape base - fresh wreath will last up to a month, then materials can be stripped & wicker heart can be kept for hanging or decorating again. My wreaths are handmade & made to order All boxed up & sent 1st Class to keep optimum freshness Please allow a few days for me to make up, or when buying message me with your delivery date preference. LED quantity: 10. Color temperature: 2700 - 3500K. Cable length: 1.65m. You are purchasing a wholesale job lot of 12 Red Wooden Roses with 3 green grasses and greeting card. A Great Everlasting Valentines Gift For The One You Love. The wooden roses have a multitude of different purposes such as. You are purchasing a wholesale job lot of 30 Red Wooden Roses with 3 green grasses and greeting card. A Great Everlasting Valentines Gift For The One You Love. The wooden roses have a multitude of different purposes such as. 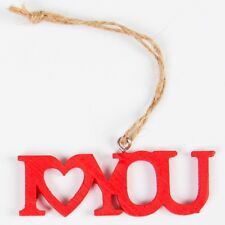 You are purchasing a wholesale job lot of 100 Red Wooden Roses with 3 green grasses and greeting card. A Great Everlasting Valentines Gift For The One You Love. The wooden roses have a multitude of different purposes such as. 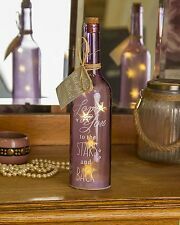 We mainly use natural hardwoods or acrylic for our products and carefully laser cut and engrave them with the loving details of your choice. 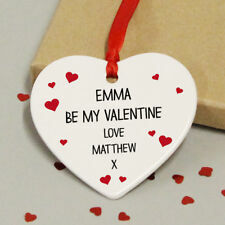 This beautiful decoration is designed and personalised for you. MDF wooden I Love You tumbling hearts plaque. painted plaques are for example only, these are supplied in plain mdf wood ready for you to decorate with paints, inks, glitter or craft papers. to see what I'm adding next. These mini heart shaped fillable plastic containers are made from sturdy clear plastic. The two sides clip together easily, so you can fill them with anything you wish, for example Add to Favourites. On a wire-based circular frame. Covered in black and red decomesh. Embellished with wire-edge ribbon and a wicker-work heart. Ships to UK mainland only. Postage refunded if collected in person. They are made in Scotland by myself and finished to a high standard. They are totally unique and individual. No two are alike. She has pink marabou wings, and she has found a jewel, which she is going to keep. LED quantity: 10. Color temperature: 2700 - 3500K. House size: 5.5 x 4 x 6.5cm. Cable length: 1.65m. Each one is made in Scotland by myself and finished to a high standard. They are totally unique and individual. She has lovely long blonde plaits, and the base is also lined. She could be given as a gift to a bride or bridesmaid. Each one is made in Scotland by myself and finished to a high standard. Each one is totally unique and individual. No two are alike. I take - shall we say - rather unloved and neglected dolls. She carries a bouquet and stands approx. LED quantity: 10. House size: 5.5 x 4 x 6.5cm. Color temperature: 2700 - 3500K. Cable length: 1.65m. Fresh hanging heart wreath made up with fresh seasonal foliage (may differ from foliage shown In photo ). LED quantity: 10. Color temperature: 2700 - 3500K. Cable length: 1.65m. House size: 5.5 x 4 x 6.5cm. Features ---3 x 3Dimensional Foil Hanging Decorations ---Great for Weddings, Anniversaries or Partie.